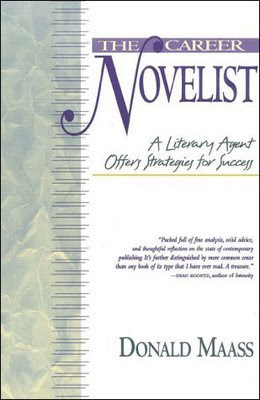 If you either fancy yourself as a writer, or you're shopping your first novel around, or even several books deep into a career, you could do a lot worse than reading The Career Novelist, by American super-agent Donald Maass of one of New York's largest literary agencies. Although it's focused almost entirely on the nature of American publishing, much of the information (and the stories Maass tells about the way publishing works) is universal. Fortunately, you can now download that book entirely free in PDF format directly from the Maass agency. I'm most of the way through it, and there's a lot to discover about the nature of modern publishing and why things work the way they do. If you're a writer like me, some of the information contained within it is pretty much invaluable. Luckily a lot of the information is directed particularly towards genre writers, since Donald Maass does indeed represent a fair few science fiction and fantasy authors. It should be further noted that Robert J. Sawyer, a Canadian science fiction author who turns up on the awards lists fairly frequently, apparently regards The Career Novelist as one of four books essential to any would-be professional writer. Maas used to write a column in 'Locus', I think - I wonder if part of the book is drawn from his pieces?